Ivanka Trump's speech Focused On Equitable Access To Capital And Networks For Women !!! Home » देश » Ivanka Trump’s speech Focused On Equitable Access To Capital And Networks For Women !!! Ivanka Trump’s speech Focused On Equitable Access To Capital And Networks For Women !!! 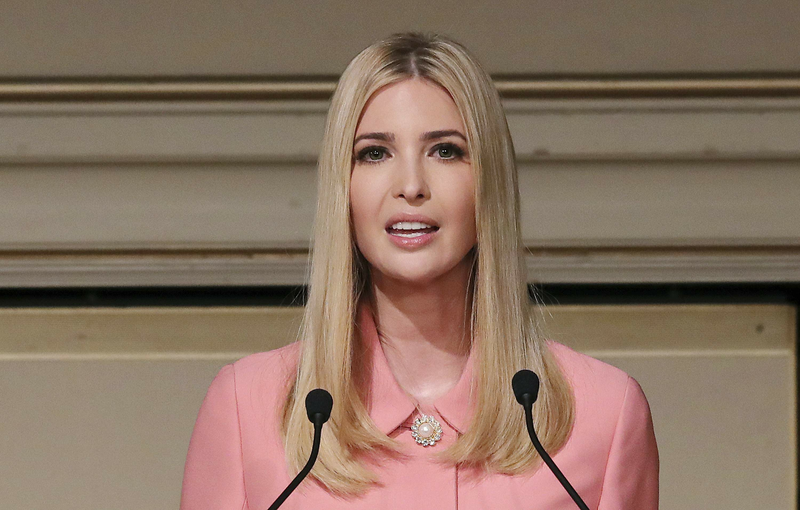 Us President Donald Trump’s daughter Ivanka Trump in her speech stressed on fueling the growth of women-led businesses and closing the gender entrepreneurship gap world-wide could grow global GDP by as much as 2 per cent. In the 8th annual Global Entrepreneurship Summit she stressed on ensuring that women entrepreneurs have access to capital, access to networks and mentors to equitable laws. Ivanka stated that despite the soaring rate of female entrepreneurs, women still face steep obstacles to start , own and grow their business. She highlighted that the US Small Business Administration increased its lending to women by over 500 million dollars this year. The US administration is fostering mentorship through programs such as SCORE- a nationwide initiative where successful men and women coach those who want to become their own CEO s. She said that the US administration is striving to promote greater opportunity for women around the world, both through our domestic reforms and our international initiatives. US administration is committed to empower women entrepreneurs through domestic reforms. In the past 11 months it expanded apprenticeship programs and prioritized STEM education to ensure that women and men have more opportunities to master the skills that drive progress in the 21st century. The US has dramatically reduced job-crushing regulations, which disproportionately hurt entrepreneurs and small business owners and is laser-focused on passing long over-due tax cuts. This will provide much needed relief to working families and businesses of all sizes. This year the President’s Budget included a proposal to establish a nationwide program for paid family leave. The administration is committed to support women and men who work inside or outside the home. She said that , last decade, US has promoted women entrepreneurship through a number of programs include providing micro-finance loans to women in Afghanistan, and bringing Internet access to women in Nigeria and Kenya. She concluded her speech by highlighting the inspirational stories of some of the entrepreneurs in attendance.